You know that you need healthy, or it could affect your long-term health. While you need food to survive, it really has to be the right food. Eating fast food can hurt your health negatively because it is high in calories and sugar, but has little nutritional benefits. Instead, it is filled with saturated fat, processed foods and sodium. Learn more about the reasons why fast food is bad for you. When you eat junk food that is filled with sugar, it causes a spike in your blood sugar. If you just eat junk food and fast food once every few months, this probably won’t cause any problems. If you eat fast food all the time, it can affect how your body processes insulin. Before long, this problem can cause you to develop type 2 diabetes. In theory, consuming calories gives you energy to do your normal activities. Unfortunately, this is not the case when you eat fast food. While it is extremely high in calories, it often causes fatigue and weakness. This is because fast food is extremely low in the minerals and nutrients that you need. 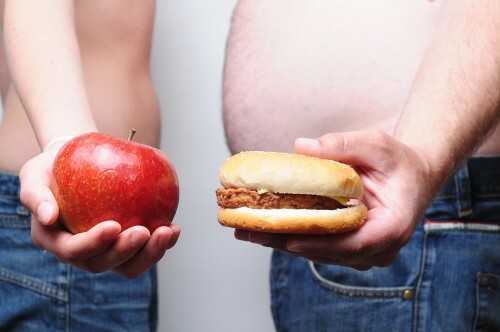 Your body wants to keep eating to get the nutrients, but it does not obtain them from the food. As a result, you end up suffering from chronic fatigue. Your body needs fiber to function properly. Fiber helps you to absorb the nutrients in your food and helps you feel full. When you do not get enough fiber, you are at a higher risk of hemorrhoids and constipation. Since fast food is lacking in fiber, it can cause these problems. In addition, the high fat content can cause your stomach to produce more acid, which irritates the stomach’s inner lining. If it has spicy ingredients in it, the fast food can cause a painful, burning sensation as it irritates your stomach. Another one of the reasons why fast food is bad for you is because of the saturated and trans fats. These cause your LDL (bad) cholesterol and triglycerides levels to rise in the blood. Over time, this can cause plaque to build up in your arteries and cause heart disease. Fast food can also cause inflammation in your arteries, which unfortunately makes it even easier for plaque to stick to the walls of your arteries. If the arteries become completely blocked, you could suffer from a heart attack. Liver damage is another potential problem for people who frequently consume fast food. In research studies, fast food has been found to be nearly as bad for your liver as alcohol consumption. Eating fast food consistently for just four weeks can badly hurt your liver enzymes. In addition, the trans fat from the fast food you eat can leave deposits in the liver that cause problems later on. If you eat a diet low in fiber, you are at a higher risk of developing cancer. Since fast food has almost no fiber, this means that it can increase your cancer risk. Fried food can increase chances of prostate cancer. Meanwhile, high fat and sugar content can increase your chances of having colorectal cancer. When you eat fast food, it can hurt your mental function. Researchers gave animals a diet of fast food. They found that it decreased their ability to learn new skills and remember things. 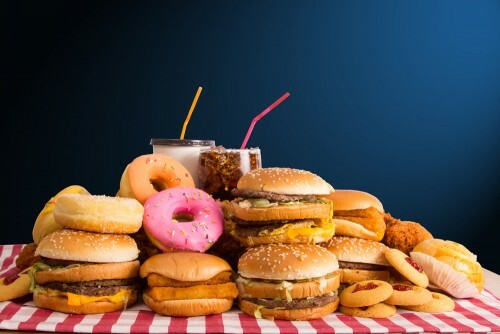 The trans fats in junk food can also replace the good fats in your brain. This makes it harder for your brain to send signals. In addition, the sugar and fats can also increase your chances of developing dementia. Your body needs to have vitamins and minerals to have a healthy immune system. Since fast food is low in vitamins and minerals, your immune system can suffer. This can make you more likely to develop diseases and infections. When you eat fast food, you are consuming a diet high in salt. The excessive sodium disturbs the balance of potassium and sodium within your kidneys. The additives in fast food can also hurt your kidney function. 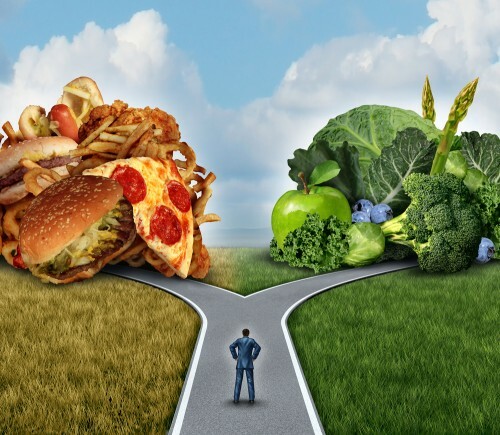 Depression can be caused by eating the wrong foods and living an unbalanced lifestyle. Your body needs the right nutrients to function properly. When your diet lacks these nutrients, it can cause emotional and mental problems. Researchers have found that this problem is especially common among teenagers. In research studies, teenagers who ate fast food had a 58 percent higher chance of suffering from depression. This may be due to causing hormonal changes in the body. Whatever the case, fast food is linked to emotional disturbances like depression among frequent fast food consumers.